Scrum Master success is the visible outcome when team members are performing. The role of the Scrum Master is therefore, at least in part, to help team members grow and improve their approach to work, and collaboration. In this episode we discuss the signs that team members may be ready for a jump in performance, and how to support their growth. Scrum Masters that have tried many formats in their Retrospectives may grow tired of the structure that the default Agile Retrospectives book recommended back when Retrospectives were “new”. Gilberto eventually got tired of that approach and created a new approach to retrospectives. Listen in to learn about how an experienced Scrum Master now oragnizes his Retrospectives alone or with the help of team members. 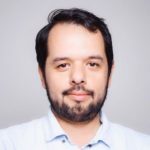 Gilberto is a Berlin-based Scrum Master. He is passionate about Agile, Lean, Scrum and most of all complexity. He is currently working at Takeaway, a leading online food delivery marketplace in Continental Europe. You can link with Gilberto Urueta on LinkedIn and connect with Gilberto Urueta on Twitter. This has been one of the most forward thinking conversations on Retros and team improvement. I have been running my Retros in a very similar “informally” structured manner with a heavy emphasis on team building and collaboration. What I tend to find is that the teams have more open conversations about impediments and proactively seek solutions. Teams also tend to exhibit a deeper sense of trust with each other and, surprisingly, the organisation’s ability to change. Maybe it is the lack of “formal” structure that allows for the team to take ownership of the meeting. I’m guessing here but, the results are fairly evident. Also, agreed, trust is everything! Without it the whole Agile house comes crashing down.